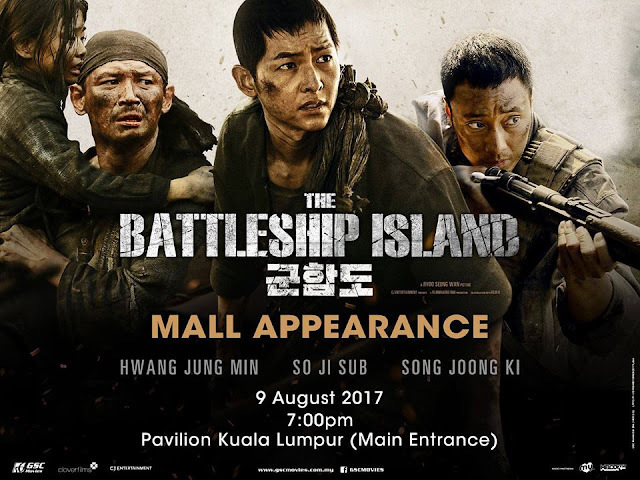 tvNMovies and Chingu are bringing you to meet your favourite OPPAs, Hwang Jung Min, So Ji Sub and Song Joong Ki at the gala premiere of The Battleship Island on 9 August! Step 1: Tell us in the comment box HERE, which of your chingus would come to your rescue if you were trapped in the Battleship Island? 2 lucky winners will get a pair of tickets to attend the exclusive premiere on 9 August, at GSC Cinema, Pavillion. The Battleship Island is starring by Hwang Jung Min, So Ji Sub, Song Joong Ki, Lee Jung Hyun and Kim Soo Ahn. 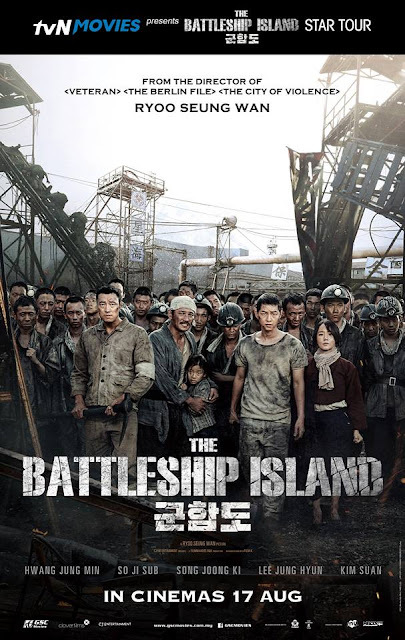 The movie talks about roughly 400 Korean people who attempt to escape from the forceful coal mining at the Battleship Island during the Japanese colonial era. The Battleship Island has officially aired in Korea this July and Malaysian has been waiting for the movie to arrive. Thanks to tvNMovies, Clover Films and GSC, the movie is now confirmed to air in Malaysia starting from 17 August 2017!